Can anyone tell me how many 427 4 speed 69 convertibles came in Riverside Gold with black interior? No. But, one could 'estimate' it from the production numbers of each option. The "assumption" would be that the average use of each option would be consistent, regardless of what was being ordered. Not really the case, but it's an estimate...right? 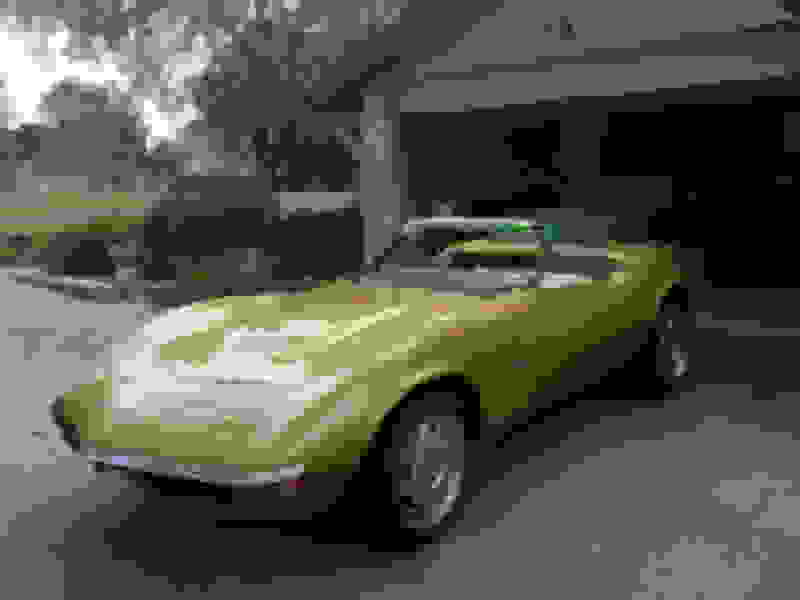 With the above production rates and estimate, the 1969 Corvette Convertible with Riverside Gold exterior and Black interior and a 4 speed transmission had a probability of 2.16%. Last edited by 7T1vette; 01-23-2019 at 08:01 PM. As 7T1 stated there is no way to know as they didnt keep those records in 69. But as someone who has been into specifically 69s for some 30 years I can tell you its more common than other colors. Most common colors I've seen for 69s are green, gold, blue and yellow. Black and orange seem the fewest with black cars being the most color faked trim tags out there. not scientific, just what I have observed. Take it for what its worth. Well said. So that % x the total production for the year would be close. True, because potential combinations of 2 or more options taken out of the equation would increase the estimated %. A 427 4sp roadster in any combination is desirable even the base 390hp. If you have a tripower all the better. Original drive train with supporting documentation....all these things make a difference. They made somewhere around 10500 390hp all types so they were not terribly rare. But when you add 4sp and convert the numbers get much smaller. I like the Riverside gold cars. I think there is a Gold/Black 427 4sp vert for sale on Craigslist in NY that needs a resto but the seller is asking something like 32K for it. Too high for what I saw in the pics but it could be a nice car. They made 10 colors for 69. If it was equal across the board it would be 10%. I think Gold is more common than most. I am thinking its probably closer to 15% but as you said, its all guess work. thanks for the info! I have a documented original all numbers matching 69 with 35,000 original miles, right down to the tires. We are just completing the stripping and painting of the original lacquer to acrylic enamel and it looks like showroom. My restorer tells me that even though it is a 390 hp, due to the extreme originality that it should be worth around $140k. I will not sell it however because it is the exact car that I determined to buy over thirty years ago. If you want to see it look up Classic Garage in CdA Idaho. Last edited by dmaxx3500; 01-24-2019 at 01:04 PM. I don’t know man. It depends on a lot of things, documentation, all original parts, no history of damage, proof of mileage, original tank shipping and window sticker which match accurately to the car, quality of restoration or originally condition, options, and on and on. They just sold a 69 coupe big block with more miles for $90k. I have been in the car business for 25 years and some documented cars that are very original sell for more than routine sales, especially at the the well known auctions. Discerning buyers will pay more for NCRS true cars and not ones that have after market wheels and higher miles and the like. Any one can put together a look-alike but an original low mileage car is valuable. That is absolutely true. That said, $140k for a 390hp car is still a huge stretch. Finding the one person with both the desire and the resources to buy that specific car can be a huge challenge. And original tires at 35k miles? At least 15k of those miles had to be driven on jackstands. Very true, difficult but not impossible with world wide media and qualified buyers meeting at auctions physically or online. 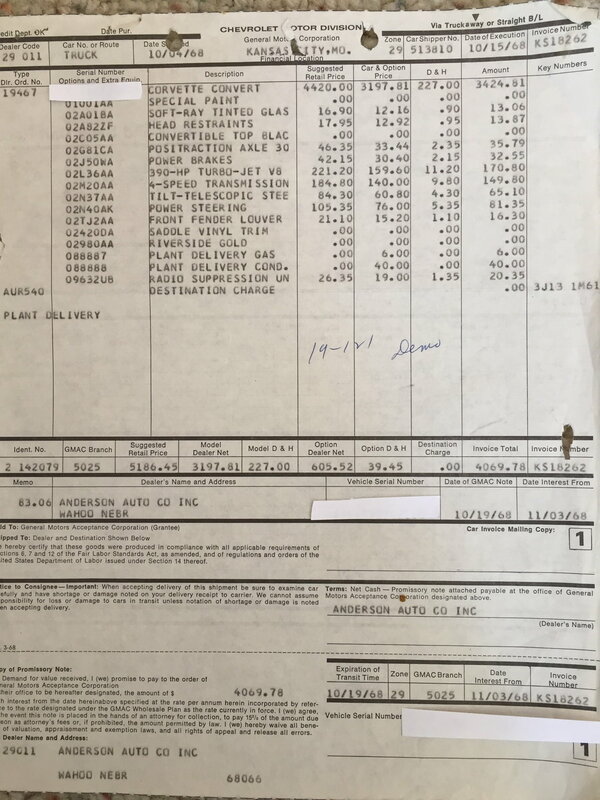 I have the factory invoices for 16 Riverside Gold Corvettes. All have the Saddle interiors, some big blocks and some small blocks. These are the Shrine cars from '69. As the cars had to look the same, the small blocks had big block hoods. Here is a copy of one of the invoices with the VIN# blocked in case someone wants to clone one. If you happen to have an October '68 produced Gold car you might want to PM me to see if I have any information on your car. 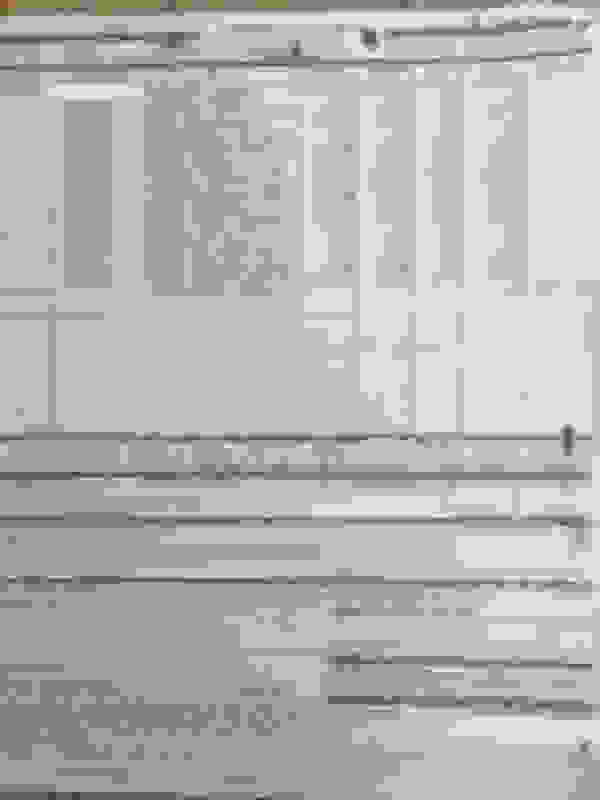 Last edited by scura283; 01-24-2019 at 04:18 PM. Do you have a link or vin to the 90K sale of a 390hp 69? I am very interested in seeing what could have made the value go so high. Now I hope you can deal with an opposing opinion than yours without taking offense. This place is a good place to learn and I learn new things here all the time so here it goes. 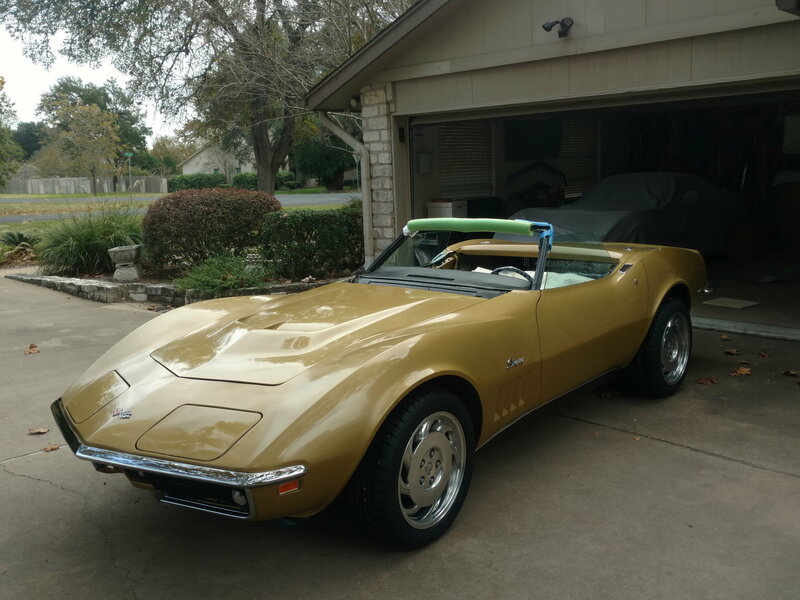 I have not nor do I ever want to be in the car business but I am and have been an avid hobbyist as well as been around and collecting and inspecting specifically 69 Corvettes for over 30 years for myself as well as for other collectors. I first joined NCRS in 1992. I am not a judge but I have some knowledge. I have an idea of what NCRS guys will look for and pay for. I agree NCRS guys will pay more for VERY correct cars. How much more is the question. When you get near 70K buyers will be looking at 435 cars. Over 120k and now you are in L89 territory. There are dealers with L71 435 cars with lower mileage than yours and can't get 80K for them. Check out Proteams red coupe 435. Incredible pedigree. Its an Auto trans so it hurts it there and I feel coupes are worth less then verts. And I can tell you that I have never, ever seen a 390hp car for sell over the 65K mark. Not saying it hasn't happened. But just that I have never seen it. So if you have a lead on one that did I sure would be interested as I have two of them and it would be interesting to compare. Also, I looked at your 69. Very nice. But you should have it looked at by an NCRS judge just so you know exactly what you have. Not everything is original and correct on your car. It looks very nice, no doubt. But if you are talking originality you must understand that since you painted it, it is no longer original. Code correct? Yes, maybe in most areas. But completely original? No. Even with the few pics I saw I can see things that need correction if you want to say your car is ALL original. Also, do you know how to tell the difference between a restamp and original? Longtime car dealers miss them all the time. A person who has been in the "car' business regardless if it was 25 years or 50 years does not prepare them for the 'Corvette' world. All that they have learned can go right out the window. Why? Because Corvette people are pyschotic...We have deep rooted issues. We check every number everywhere. Fake paperwork/documentation is rampant. Chevelle and Camaro guys are mostly normal fun loving driving enthusiast. They enjoy the cars for what they are more than the Corvette guys do. 1. The original radiator should have two small rectangular cuts on the top by the hold down straps on both sides. Yours looks like a typical replacement without the cuts. It should also have a tag on the passenger side that says MJ9. 2. Its hard to see but the master cylinder doesn't look original. Maybe it is but it doesn't look it from the pics. 3. The trim in front of the windshield should be body color. Same with the rear grates by the gas cap. In the pics they look unpainted. Maybe you didn't get to it yet? 4. The engine lift bracket should be painted silver, not orange on a Corvette with an aluminum manifold and the PCV should not be in the hole. 5. Not sure on those White Stripe tires. The stripe looks too thick. Maybe its the picture. Corvettes had three tire makers for 69: Firestone, Good Year and Uniroyal. I can't remember if I ever saw a Uniroyal made white or red stripe tire but the Firestone and Good Years stripe looked much thinner. The only good current repro is the Kelsey made Good Year and I'm not sure even that is 100% correct. The Coker version of the Firestone looks good from 10 feet away but is fairly inaccurate. However, there is lots of very nice things about your 69. Smog equipment is present. Very nice. The overall condition looks great. But lets talk about what a world record breaking 390hp sale would need to get the highest value possible. It would need to be a very special car in every way. It would have to be very low mileage with original EVERYTHING including drivetrain, paint, alternator, distributor, carb, starter, radiator, water pump, spare tire, all five rims, tires, body chalk marks, anything with a number or date code which is on more things than most people realize. The headlight actuators had ink date stamps as did the windshield washer actuator. So the list goes on, even more so than the NCRS Judges Guide. Under 20k miles would be in my opinion the threshold. But it would have to be a maintained 20K not just sitting in a garage falling apart somewhere. That negates everything. It should be a Vert 4sp. It should have (and these are the big tickets): Sidepipes…..AC.....original black paint (Black seems to be the highest demand color, Gold unfortunately is not nearly as desirable, nobody "fakes" a Gold trim tag, never seen one)....original red leather interior, power everything windows/brakes/steering, optional hardtop, FM stereo, maybe transistorized ignition just to make it even more unusual. Maybe even some more over the top options but hopefully now you get the idea. And it should be a one or maybe two owner car with great docs. The fictitious car I described might be the most universally agreed highest desirable 390hp car. Even so I doubt it would reach 100K even at the famous auctions. But I could be wrong. Been wrong before. Again, you have a great car and I'm not trying to criticize your car. I'm more criticizing the 140K evaluation. As a Corvette owner you should know what you have before you go to a Corvette show and tell them you think your car is possibly worth 140K. Nobody will ever take you seriously again. That wouldn't be too good for someone with 25 years in the car business. You have a great car, hope you stay on here as a member without getting mad at me...…….but 140K???? Riverside gold is a great color when painted in a nice two stage finish vs the original lacquer! Back in the day gold and green were popular and I have seen quite a few gold 427 convertibles through the years. Unfortunately they don't bring as much as say red, black silver etc. I watch the values closely on the e 68-72 cars and although you may have a nice car a gold 390 hp car just won't bring 140k. Mershons bought it and relisted it for sale at 69k and it sold in the 60's. Here is a nice, original 1 owner 400hp convertible with n14 side exhaust listed for sale at 79k and has been on the market for a while. I am not trying to put down your car just sharing what I have seen in the market as far as values. It doesn't sound like you are planning to sell it, but if your body shop is telling you it is worth 140k then I think they are misleading you imho. Thank you for that link to the silver/red convert. That the highest I personally have seen for the L36. Here is something else to consider with that car in particular that can lend itself to believing that MORE money is possible for a 390hp. That car is an automatic. 4sps will get more money. They just do. Also, that car had no sidepipes. If it did? And if it had AC? These extra options are very desirable and no doubt could have added to a higher bid price. Also, period correct tires? Not sure what that means but they didnt say original tires. Could be repro or could be incorrect dated original nylons. Silver and red is nice but black could possibly also increased the bid. Getting closer to 100k. This car is exceptional.